Denise started coaching gymnastics in 1991, and has been training clients and athletes since she was in university and full time since 1998. She started her career volunteering with physical therapists, nurses and chiropractors, realizing that she had potential to fill a huge gap in the fitness industry. She wanted to become a trainer that understands injuries, physiology and biomechanics enough to create functional “pre-habilitative” programs that not only prevent injuries and help rehabilitate old ones, but also facilitate incredible fitness and weight loss results – for life! Denise has spoken for the past 10 years as a health and wellness expert for various television stations including: “Global TV”, “City TV”, and the Tampa Bay Morning Show. Denise has written for many publications such as IMPACT magazine, various community and human resources newsletters, and has been featured in the Calgary Herald, North Shore News, Hamilton Spectator and other Canadian publications. Denise shares her passion for health with various organizations yearly through public speaking engagements with companies such as: Industry Canada, Aquila, The National Parole Board, Standard Life, etc. She also has presented to many sports teams, Runner’s Edge, and other health and fitness related organizations. She is also registered as a professional speaker with Life Speak and presents monthly at her fitness studio in Calgary. 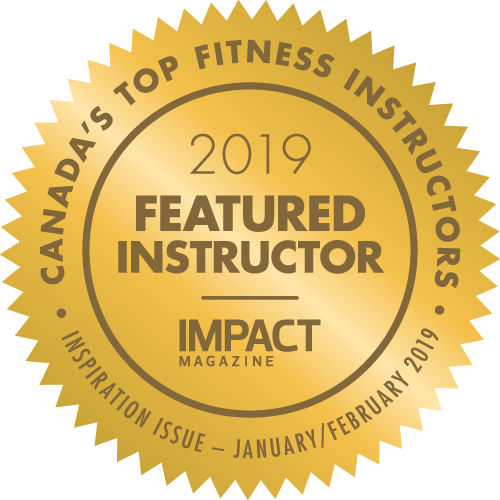 Denise started Life Works Fitness in 1998, and recently incorporated and expanded to “The Fitness Fix™” opening the large facility in January 2009 to meet the needs of her clients and to offer a non-intimidating, safe, family-friendly environment to train. Denise has completed 5 full marathons, numerous half marathons and 10kms and has a baby daughter she adores and an incredible husband! Denise has rehabilitated her own car accident injuries and strives everyday to keep learning through education, her clients, and herself to be the best educator and trainer she can be. In 2006 Denise filmed an award winning series of DVD’s unlike any on the market, made by professionals to help prevent injury, to tone, and to balance bodies. Another one of Denise’s dreams became reality with the opening of the Fitness Fix Studio, and she hopes that this facility can be a welcoming venue for all ages and levels to reach and maintain health and fitness goals!